Growing numbers of households include a home office, or at least a corner of a room that functions as an office. Cleaning your home office is just important as anywhere else, and it’s perhaps even more important as dust and dirt can interfere with the proper functioning of equipment such as printers and keyboards. Here are some home cleaning and organising tips for your office. Face out. Unless there’s a large window in the wall, arrange your desk so it faces the room. It’s nice to be able to look up from your work and not be staring at a wall. Use compartments. To minimize clutter, section off drawers for pens, paper clips, staplers, etc. Use file boxes or a filing cabinet. Store books on shelves. No junk. Don’t let yourself have a junk drawer. These tend to grow and multiply and will take over the whole office! Avoid dust gatherers. If you must have knick knacks, limit these to a maximum of three. Personalize. At least one of your knick knacks should be an inspirational personal item, such as a trophy, a framed certificate or degree, or a picture of loved ones. Beautify. Have something beautiful in your office, such as a pretty picture or a fresh flower. Think productivity. Put things in places where they’ll help you be efficient and productive. For example, paper and ink cartridges should be near the printer, and not in a drawer on the other side of the room. If your workspace looks like this it’s time to clean and organise your working area. De-clutter daily. Set aside ten minutes at the beginning or end of each session in your home office to clear your desk, file papers, discard trash, etc. Clean weekly. At least once a week, be sure you do standard home cleaning tasks such as vacuuming and dusting. Deep clean regularly. Once every three to six months, do a deep home cleaning job in your office. Take everything out of drawers and off of shelves; clean the drawers and shelves with a damp cloth. Take down curtains and dry clean or launder them. Shampoo carpets. Clean windows, blinds, woodwork, ceiling fans, etc. Finally, don’t worry if you can’t afford trendy and stylish office furniture. A clean, well-organised, and uncluttered office will always look nicer than a stylish but messy one. 21 ideas for organizing your home office. (n.d.). Real Simple. Hammersley, T. (n.d.). 10 steps to an organized home office. HGTV. Meg. (2012, July 11). Small home office tour and organization [Video file]. Smith, D. (2013, February 23). 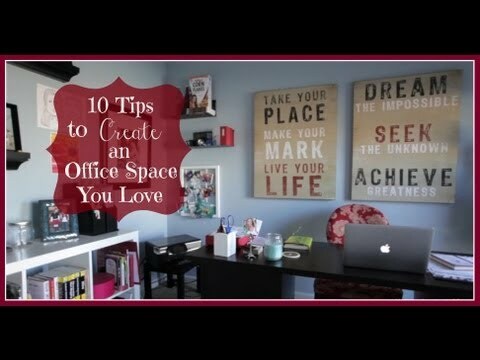 How to organize a home office–10 tips [Video file]. Walsh, P. (n.d.). Clean up your home office and bathroom. Oprah. We provide high-quality cleaning service at an affordable price. Our experienced team of professionals prides themselves in maintaining the highest standards. When you move out from a rented property, there are a number of things which must be planned and organized. This includes the end of tenancy cleaning, which a large number of landlords are now insisting be done by a professional cleaning company. Our end of tenancy cleaning services are designed to help take the pressure off you and ensure that you are 100% satisfied with the outcome. We haven't had a reclean yet!